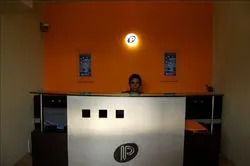 Established in the year 2012, We, Parth Systems India Pvt Ltd, are an eminent firm engaged in manufacturing, wholesaling, importing and trading Security and Surveillance Systems. The offered array includes IP Camera, X Ray Baggage Scanner, Tyre Killer, Tyre Killer , Road Blocker, Rising Bollard, HD Analog CCTV Camera & DVR System, etc. The offered systems are widely appreciated for their long trouble free operations, durability, for providing clear visibilities, low maintenance and easy installation. To ensure that our offered systems possess the above named features, we manufacture these by making use of premium quality raw material and allied components, sourced from the most trusted vendors of the industry. Moreover, while carrying out the manufacturing process of these systems, we keep in mind the globally laid quality norms. Post-production, these systems are tested to ensure these are defect free. Further, we are also engaged in serving as traders for the brands like Honeywell, Sharp, Everfocus, Samsung, Techwin, Pinetron, Panasonic, Arecont Vision, Milestone, Honeywell, Ravel, Morley,and Ascon, System Senso, etc. Further, with an aim to stand tall on the expectations of patrons, we provide after installation services to them such as maintenance and installation. We also provide these systems as per patrons' asked specifications within the above-mentioned minimum time frame as their premises. We are able to above-mentioned processes without any hassle, owing to the dedication of our teammates. These teammates are selected by our managers on the basis of their qualification and work experience. Our professionals are always aware of the market trends and manufacture the offered systems accordingly. Apart from this, we are supported by a sound infrastructure that is divided into various units and is stretched across a vast area. With the support of our chairman & managing director, 'Mr. 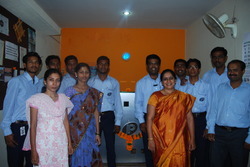 Mandar Kulkarni', we have been able to cater to the varied needs of patrons. He always follow ethical business policies in all his business dealings. Manufacturing andTrading of high grade Security and Surveillance Systems. Being a quality conscious organization, we engaged in offering a high-grade array of Security and Surveillance Systems, which is in compliance with globally laid quality norms. To ensure the same, we manufacture these systems by using the optimum quality raw material, sourced from the most accredited vendors of the industry. Moreover, while manufacturing these systems, we keep in mind the prevailing trends of the industry by taking the aid of modern machinery and latest technology. 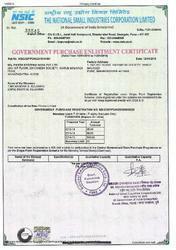 We have now registered with National Small scale Industries corporation ( NSIC ). It is subsidiary for MSME ( Maharashtra Small And Medium Enterprises ). Now e can participate in any of Government Tenders without EMD ( earnest money deposit ) or BG ( Bank Guarantee ). We majorly do business for Tenders in SRE Projects ( Security Related Equipments ). Anybody willing to do business with us for tenders can contact us. We carry out all our business activities under the watch of our highly proficient Chairman & Managing Director, Mr. Mandar Kulkarni. 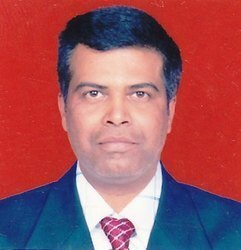 He is an engineer and experience of 22 years in similar field. In 1996, he started his company and by his hard work he made his company touch the zenith of success. In the industry, he is known for his excellent business skills and ethical business policies. By his leadership skills, he is able to to make his employ the best of his ability. Moreover, he keeps an eye on the market trends, supported by which we are able to manufacture the offered array of Security and Surveillance Systems accordingly. With the support of untiring and never-ending efforts of our workforce, we are able to build a strong foothold in the market. These professionals are well-versed with the usage of modern machinery and latest technology. Using their skills, they ensure to update these machinery installed at our infrastructure. Further, by using this machinery and high-grade raw material they manufacture the offered array of Security and Surveillance Systems as per the prevailing trends of the market. Post production, they ensure to test these systems to ensure these are flawless.